Do you have a child that attends Cheraw Primary School? If so, we would love to have your input through the use of a short survey to help improve our family engagement practices. "Because parents are such an important part of helping students learn, we would like to know how welcome you feel in our building and how well we include you in your student's learning." If you have already filled out the paper form that came home in your child's backpack last week, thank you. You do not need to complete the survey again. Thank you in advance. Get your little one photo ready for memories to last a lifetime! 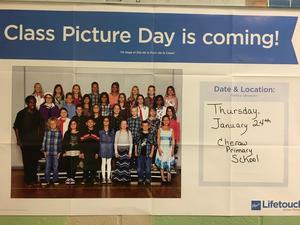 Class pictures will be taken Thursday, January 24th. 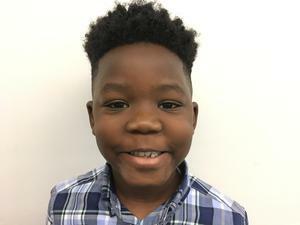 Congratulations to Josiah Hudley for being named the Cheraw Primary School Student of the Month for the character trait: dependable. Josiah is a first grade student in Ms. D. Quick's class.